Criminal Minds: I received this note from Ed shortly after they surprised him with the cake. Thank you to all the Criminal Minds cast, crew, writers and staff that helped us with this birthday project! The cake is awesome (and delicious)! I can't begin to tell you how touched I am by this. The crew totally fooled me, too. It was a great surprise (though, frankly, they don't really sing all that well). 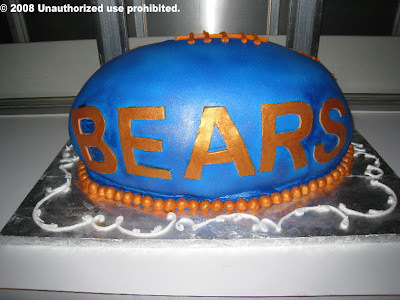 CRIMINAL MINDS FANS SAY, "LET THEM EAT CAKE"
Criminal Minds Fans sent a custom made Chicago Bears Cake to Ed Bernero, Executive Producer of Criminal Minds, yesterday as a birthday present. Thank you to all the Criminal Minds writers and crew members that assisted in the planning and presentation of the cake to Ed. A special thanks to Debra J. Fisher, Co-Executive Producer and writer for Criminal Minds, for the wonderful pictures she took for us, so we could share the event with all of them. 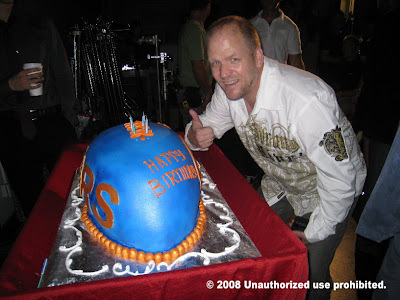 It was important to all of us that the cake be large enough for Ed to share with everyone in the studio. I've been told that that task was accomplished and there were even leftovers for them to enjoy today. Thank you to all my fellow Criminal Minds fans for their monetary contributions and gift suggestions. We have exactly 364 days left to figure out how to top this next year. Good luck to us! Criminal Minds: CBS posted this Criminal Minds snippet on YouTube today. Criminal Minds starring Joe Mantegna, Thomas Gibson, Paget Brewster, Shemar Moore, A.J. Cook, Matthew Gray Gubler and Kirsten Vangsness! "The local police are blown away when they respond to an explosion"
CRIMINAL MINDS BIRTHDAY CARD FOR EDWARD ALLEN BERNERO. 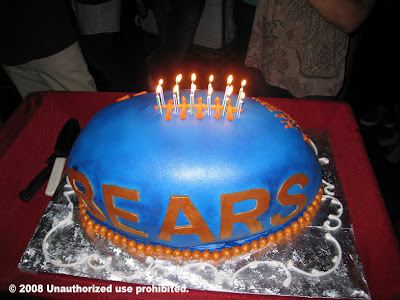 Criminal Minds: Executive Producer Edward Allen Bernero is celebrating his birthday on Friday. Please join us in wishing Ed a very Happy Birthday and thanking him for everything he has done, and continues to do, for the show and the fans. We were blessed that Ed picked Criminal Minds to be his show. It would be impossible to list all the reasons the Criminal Minds fandom respects Ed but the one that sticks out most in my mind is seeing the pictures everyday during the WGA strike that Kris shot for us. Ed was always there. He didn't make token photo op stops to the line. He walked it with his fellow writers. They are a writing family and his loyalty to them, the show and to all of us should stand as an example of the proper way to be a showrunner. I hold him in high personal regard, as I know you all do, and I hope that his birthday is spent surrounding by his wonderful family, closest friends, his cast, crew, his writers and that he enjoys his special day. 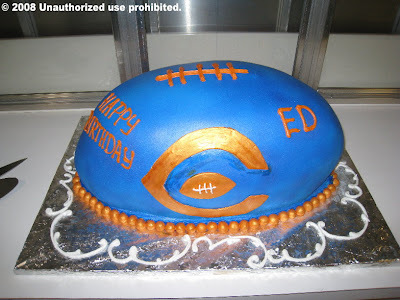 Thank you Ed for showing up and Happy Birthday! CRIMINAL MINDS: BREEN FRAZIER IS A KEEPER! Criminal Minds: Last night the Criminal Minds fandom had their introduction to Criminal Minds' newest writer, Breen Frazier. 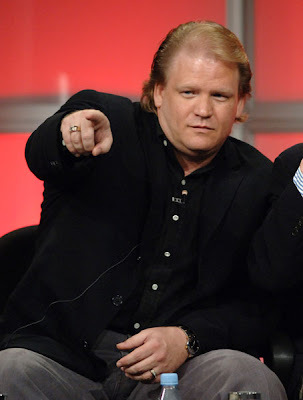 Breen is articulate, extremely funny, quick thinking and obviously loves working on Criminal Minds. I look forward to watching his first episode, "The Game" in October. This writer is a definate keeper! Please join me in welcoming Breen to our Criminal Minds family and thanking him for giving us his time last night! 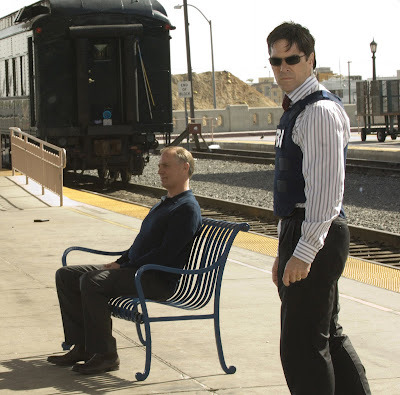 Criminal Minds: "Rock'n'Roll Train" will be utilized in promo ads for the CBS show "Criminal Minds" beginning Sept. 1. It will also appear in the Oct. 22 installment of the series. Criminal Minds Spoiler Alert: Meta Golding, who will be filling in for A.J. Cook while she is on maternity leave, will be playing a character named Jordan Todd on Criminal Minds. Episode 9 will deal with a special type of ubsub called "pickup artists" in an episode titled "The Game" written by Breen Frazier. Criminal Minds starring Joe Mantegna, Thomas Gibson, Paget Brewster, A.J. Cook, Shemar Moore, Matthew Gray Gubler and Kirsten Vangsness. Criminal Minds: Ed Bernero, Executive Producer of Criminal Minds, gave a very interesting interview to TV Guide. "I was thinking about all this because, right now, 10 episodes (in various stages of production) into the fourth season, Criminal Minds is having what I believe to be our best season yet. There are bombs and foot chases and shoot-outs and huge crashes and unexpected glimpses into our characters' pasts; we have scary locations and amazing guest stars like Jason Alexander, Luke Perry and Wil Wheaton. And, of course, we've got a menagerie of terrifying "unsubs" who will have you covering your eyes and watching through your barely open fingers. It's definitely exciting. I hope you'll get to understand a little bit of what it feels like to be a cop." Criminal Minds: CBS posted this Criminal Minds snippet on YouTube today. "Another victim leads David and Emily to believe that the killer is still in town"
CRIMINAL MINDS SPOILER THREAD FOR "ELEPHANT'S MEMORY"
Criminal Minds: Spoiler thread for Criminal Minds episode "Elephant's Memory" starring Joe Mantegna, Thomas Gibson, Paget Brewster, Shemar Moore, A.J. Cook, Matthew Gray Gubler, and Kirsten Vangsness. Written by Andrew Wilder. CRIMINAL MINDS SCREENCAPS FOR "ELEPHANT'S MEMORY"
Criminal Minds screencaps for "Elephant's Memory" are courtesy of Stacy. Criminal Minds starring Joe Mantegna, Thomas Gibson, Paget Brewster, Shemar Moore, A.J. Cook, Matthew Gray Gubler and Kirsten Vangsness. CRIMINAL MINDS QUOTES & SONGS FOR "ELEPHANT'S MEMORY"
Criminal Minds: Here are the songs and quotes for Elephant's Memory written by Andrew Wilder and starring Matthew Gray Gubler, Thomas Gibson, Joe Mantegna, Shemar Moore, Kirsten Vangsness, Paget Brewster and A.J.Cook. Songs: "The Man Comes Around" and "Hurt" both sung by Johnny Cash. CRIMINAL MINDS: MATTHEW GRAY GUBLER PARTICPATES IN ART SHOW. Paper Cuts: works on paper: Will Bryant,Yui Chan,Thom Gastelum,Hamish Grieve,Matthew Gray Gubler,James Gulliver Hancock, and Jeffrey Max. CRIMINAL MINDS DVD SETS, INCLUDING SEASON THREE, ON SALE!! Criminal Minds: Marisa Quintanilla will be a guest star on Criminal Minds in season four. "CBS' "Criminal Minds." 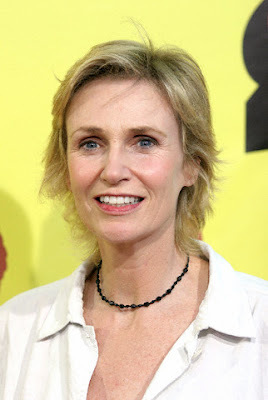 She will play the daughter of two victims in the 6th episode, entitled "Catching Out," of the show's fourth season. Behind the scenes: In Hollywood, Quintanilla said, the Spanish portions of scripts are often written in English and actors are asked to translate on the spot. At the read through with the stars of "Criminal Minds," she and some of the other Latino actors impressed the cast, she said. After the reading, some of the main actors ­- who play investigators on the show - even asked for help with their Spanish lines. "It's something I wouldn't have been able to do if I didn't grow up in the Valley," she said." 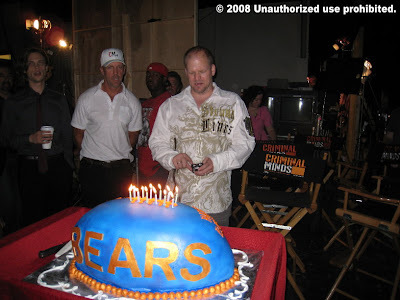 Criminal Minds Blog Notes: The Criminal Minds cast and crew are on location Wednesday so Ed Bernero's birthday surprise has been moved to Thursday. A birthday card will be posted on Wednesday for you to sign. We have a special guest joining us in the Criminal Minds chat room Wednesday night and I'm extremely excited that he/she has graciously accepted our invitation. We will be starting several dozen auctions on Thursday, so please check them out. "Elephant's Memory" written by Andrew Wilder is this Wednesday. Awesome episode! I hear that our writers are really busy creating magic. Yeah! I think season four is going to be their finest hour! Remind newbies about "Mayhem". Not much longer to wait for the fourth season. CRIMINAL MINDS PROMO FOR "ELEPHANT'S MEMORY"
Criminal Minds: Here is the original promo for "Elephant's Memory" written by Andrew Wilder and starring Joe Mantegna, Thomas Gibson, Paget Brewster, Shemar Moore, A.J. Cook, Matthew Gray Gubler and Kirsten Vangsness. Directed by Bobby Roth. These is a great episode! Criminal Minds: Here is the CBS press release for "Elephant's Memory" written by Andrew Wilder and starring Joe Mantegna, Thomas Gibson, Paget Brewster, Shemar Moore, A.J. Cook, Matthew Gray Gubler and Kirsten Vangsness. Directed by Bobby Roth. 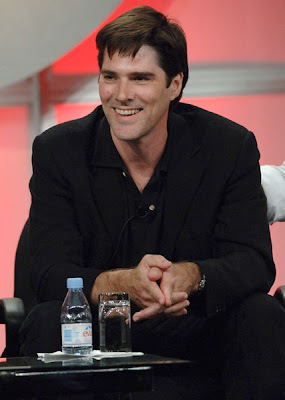 "Elephant's Memory" - Hotchner and his team investigate a spree of killings in a small Texas town involving a teenage boy and his girlfriend, on CRIMINAL MINDS, Wednesday, Wednesday, Aug. 27 (9:00-10:00 PM, ET/PT) on the CBS Television Network. Guest Starring: Chris Mulkey, Cody Kasch, Lindsey Haun, Rhino Michaels, Matthew Kimbrough, Michael Ironside, Boo Arnold, Kym Jackson, Tim Dezarn, Alexandra Krosney, Tracey Walter, Nicholas Roth, Nicolas Alexander and Devin Crittenden. CRIMINAL MINDS STAR SHEMAR MOORE & MOM FEATURED IN "NEUROLOGY TODAY"
Criminal Minds: Shemar Moore, Derek Morgan on Criminal Minds, and his mom discuss MS in this month's edition of "Neurology Today". Please remember to contribute to the Criminal Minds MS Bike Team. CRIMINAL MINDS: OUR CM BABY IS COMING SOON! Criminal Minds: JJ, played by our future Criminal Minds mama A.J. 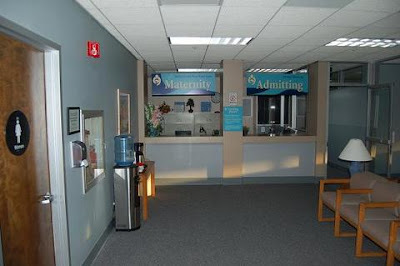 Cook, is getting ready to have her baby. Is Criminal Minds getting a boy or a girl and what should JJ & Will name the baby? I'm voting for a girl named Jill. lol! PS: Best wishes to AJ and Nathan on a safe and easy delivery. We'll miss you while you're gone and we'll be anxious for your return to Criminal Minds!! Criminal Minds overnight ratings: "CBS earned a distant second place on the night, earning its best ratings with reruns of “Criminal Minds” at 9 p.m. (5.9 million) and “CSI: NY” at 10 p.m. (6.1 million). 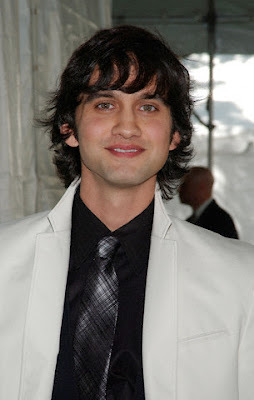 CBS’s “Greatest American Dog” garnered 5.1 million viewers at 8 p.m."
Criminal Minds: Michael Stegar will be seen as a guest star in the 2008 season opener of “Criminal Minds.” Michael Steger stars as high school journalist Navid Shirazi in The CW’s new drama “90210.” I'm looking forward to seeing Michael perform in "Mayhem" starring Joe Mantegna, Thomas Gibson, Paget Brewster, Shemar Moore, A.J. Cook, Matthew Gray Gubler and the wondrous Kirsten Vangsness! 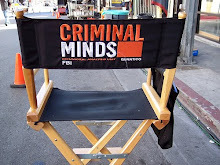 Criminal Minds: Nick Brendon, Kevin Lynch on Criminal Minds, has updated his weblog and he has announced he is coming back to Criminal Minds. "And I just got the word that I’m going to be in the next episode of Criminal Minds. A cute little scene there, right in the middle of the script. So my clothes are going to be staying on for this episode — so any of you that were looking to see me naked, you’ll just have to go to my fan Web site, which I think is NicholasBrendon.com [Webmaster note: It’s not; this is it. ], and maybe there’s some naked pictures of me up there [Webmaster note: There isn’t -- yet.]" Criminal Minds: Thanks to Jim Walls we now have some wonderful Criminal Minds season four spoiler pics in the Criminal Minds Conversation Yahoo group and on the Criminal Minds Fanatic message board! While the pictures are fairly benign, they still add to the excitement of the upcoming season. Thanks Jim! PS: Even though I am sure that the name Davidson wasn't used because of me, I still think it's cool! It's better than when they used the name Jill! CRIMINAL MINDS: SHEMAR MOORE REALLY DOES HAVE GREAT ABS! 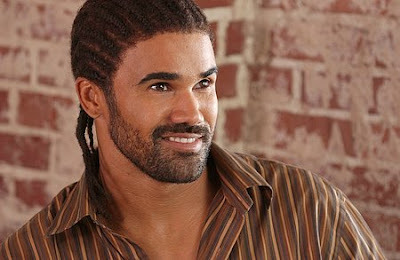 Criminal Minds: Shemar Moore, Derek Morgan on Criminal Minds, has once again been recognized for his great abs! Soccer stud DAVID BECKHAM has beaten out TV stars ROBERT BUCKLEY and MARIO LOPEZ to land at the top of a new poll to find the owner of Hollywood’s Best Abs. The part-time underwear model’s toned tummy earned him the top spot on In Touch’s summer survey. Lipstick Jungle star Buckley came in second and Lopez third. Rounding out the top five are Aussie star Hugh Jackman and actor Shemar Moore. Criminal Minds: Here are the Nielsen ratings for Criminal Minds for the week ending August 17, 2009. Criminal Minds starring Joe Mantegna, Thomas Gibson, Paget Brewster, Shemar Moore, Kirsten Vangsness, Matthew Gray Gubler and A.J. Cook. 1. "Summer Olympics-Tues," NBC, 34.01 million viewers. 2. "Summer Olympics-Sat," NBC, 31.59 million viewers. 3. "Summer Olympics-Mon," NBC, 30.17 million viewers. 4. "Summer Olympics-Thur," NBC, 29.71 million viewers. 5. "Summer Olympics-Wed," NBC, 27.66 million viewers. 6. "Summer Olympics-Sunday," NBC, 27.18 million viewers. 7. "Summer Olympics-Friday," NBC, 26.07 million viewers. 8. "Two And a Half Men," CBS, 8.07 million viewers. 9. "NCIS," CBS, 7.22 million viewers. 10. "60 Minutes," CBS, 7.09 million viewers. 11. "Criminal Minds," CBS, 6.43 million viewers. Criminal Minds: "The Evilution of Frank"
Criminal Minds: "The Evilution of Frank" is on Wednesday August 20th. This time it's personal when Gideon's (Mandy Patinkin) girlfriend is murdered by his nemesis Frank, an elusive and prolific serial killer. Gideon takes off to hunt Frank without telling the BAU and the team must profile Gideon as a suspect in order to find them both. Academy Award and Golden Globe winner Keith Carradine reprises his role as the sadistic serial killer, and Golden Globe Award winner Amy Madigan ("Carnivale" ) returns as Jane, the small town outcast who is seduced by the madman. 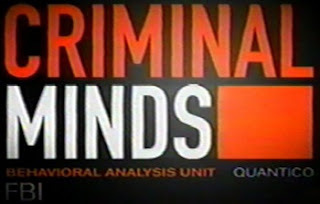 Criminal Minds starring: Mandy Patinkin, Thomas Gibson, Shemar Moore, Matthew Gray Gubler, Paget Brewster, A.J. Cook and Kirsten Vangsness. Written by Edward Allen Bernero and Produced by Simon Mirren. Episode info courtesy of CBS. Originally aired May 16, 2007. CRIMINAL MINDS "THE EVILUTION OF FRANK" GUEST STARS! 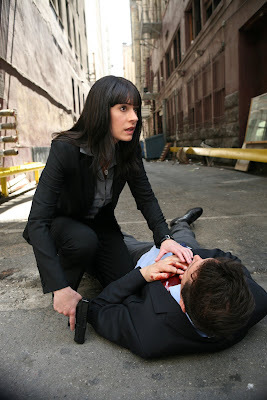 Criminal Minds: Amanda Bernero portrayed Rebecca Bryant in three Criminal Minds episodes. 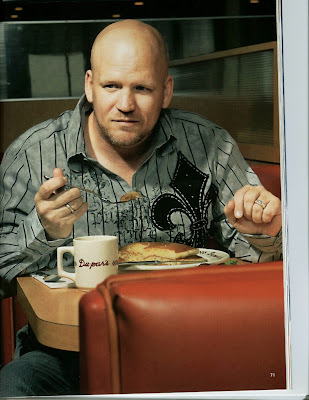 In "Fisher King, Part One" Rebecca was the victim the BAU was trying to save. 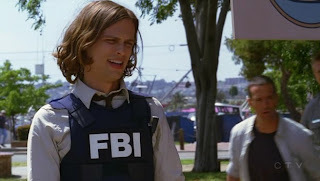 In "Fisher King, Part Two" Rebecca was saved thanks to the wonderful fast thinking Dr. Spencer Reid, played by Matthew Gray Gubler. Unfortunately Rebecca Bryant was one of Frank's victims in "No Way Out, Part Two: The Evilution of Frank". Amanda did a wonderful job in all three episodes. What I will never forget is the conversation in the chat room after NWO 2. 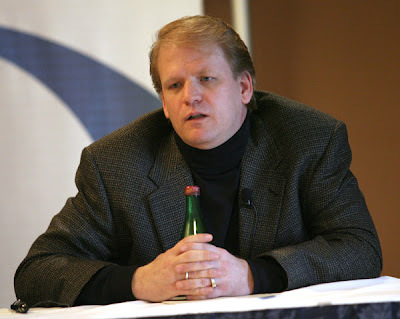 Ed Bernero killed off his daughter's character was the theme for much of the chat. I asked Ed about this after the episode aired and he pointed out to me that Amanda had actually guest starred in more episodes than any other guest. Thank you to Stacy for the screencaps of Amanda. 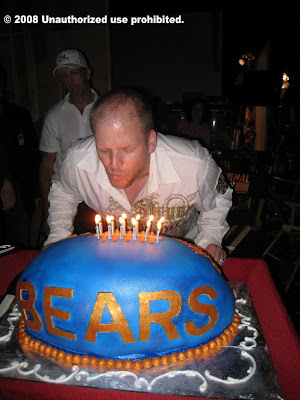 Criminal Minds: Andrew Wilder, Criminal Minds writer of L.D.S.K., The Tribe, North Mammon, Ashes & Dust, Lucky and Elephant's Memory is celebrating his birthday this month. Please join us in wishing Andrew a wonderful birthday! P.S. His first Criminal Minds season four episode, "Minimal Loss", has Luke Perry and Jeff Fahey guest starring! You know it is going to be awesome! 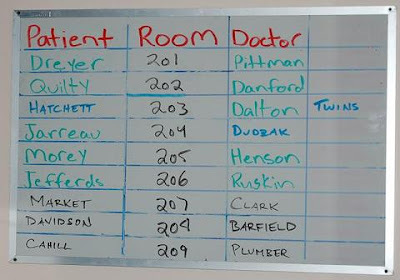 CRIMINAL MINDS SEASON FOUR SPOILER! Criminal Minds: I'm posting the latest Criminal Minds spoiler for season four in the comments section. If you don't like Criminal Minds spoilers then don't look! CRIMINAL MINDS: GETTING READY FOR "MAYHEM"
Criminal Minds: CBS Press Release for "Mayhem". 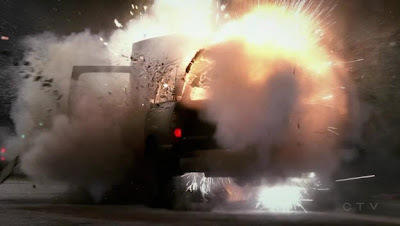 Criminal Minds: "Mayhem" - When an SUV carrying members of the BAU explodes, the rest of the team fights to save their colleagues and catch the terrorists responsible for the bombing, on the fourth season premiere of CRIMINAL MINDS, Wednesday, Sept. 24 (9:00-10:00 PM, ET/PT) on the CBS Television Network. 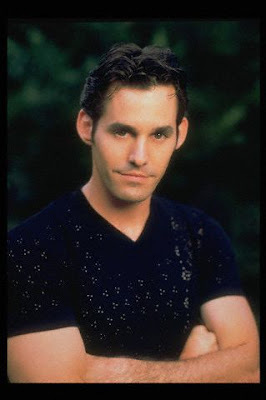 Michael Steger ("90210") guest stars. CRIMINAL MINDS SPOILERS, BLOG, CHAT & WEBSITE! Criminal Minds: Happy Monday! Criminal Minds fans have gotten their first real taste of spoilers lately. 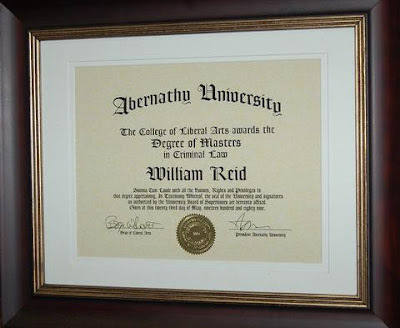 The info from Matthew Gray Gubler, Dr. Spencer Reid on Criminal Minds, and then the release and worldwide internet distribution of three stills from "Mayhem". It was a great taste of what will surely be a terrific episode and the start of another great season of Criminal Minds! I would like to remind everyone that spoilers are not always what they seem to be. We've seen CBS promos of scenes before that never made it into the final episode. So spoil away, enjoy the hype and take this time to recruit new viewers! It's all about the Nielsen! 2. Kim's Aids Marathon: There is a link for direct donations on the top of the blog. Also, there is a link under that text that will take you directly to the active charity auctions that we currently are running. 3. During normal maintence this week, members of the Criminal Minds Fanatic message board that haven't posted in the past four weeks will have their memberships deleted. Please feel free to rejoin when you have the time to participate. 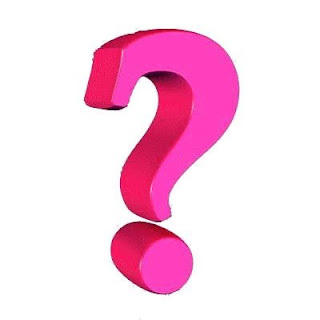 We don't feel the need, as most websites do, to have an inflated number of active members. 4. For the next few weeks there will be no memberships approved for the Criminal Minds Conversation Yahoo group. The group is being reformatted. 5. Donations for Ed Bernero's birthday present are no longer necessary. Thank you to everyone who contributed. We have already raised the necessary money to pay for it and all the arrangements have been made. 6. Allie is the moderator in charge of collecting donations for the American Red Cross and all donations are being sent to them in Rick Dunkle's honor. Please email her if you need any info on this worthy cause! Thank you Allie! 7. There is a link for contributing to the Criminal Minds MS Bike Team. CRIMINAL MINDS: "MAYHEM" AIRS SEPT. 24th! Criminal Minds: "Mayhem"--When an SUV carrying members of the BAU explodes, the rest of the team fights to save their colleagues and catch the terrorists responsible for the bombing, on the fourth season premiere of CRIMINAL MINDS, Wednesday, Sept. 24 (9:00-10:00 PM, ET/PT) on CBS. Criminal Minds starring Joe Mantegna, Thomas Gibson, Shemar Moore, Paget Brewster, A.J. Cook, Matthew Gray Gubler and Kirsten Vangsness! Criminal Minds: The overnight Nielsen ratings for last night's Criminal Minds were solid. "A rerun of Criminal Minds was the second most watched program of the evening with 6.8 million viewers. The best half-hour of the Olympics coverage (in primetime) was the 10:00p-10:30p half hour when 31.72 million (11.1/29 rating/share among 18-49 year olds). From 10:30-11:00 it “dropped” to 28.96 million and a 10.4/29." Criminal Minds: "What Fresh Hell" will be airing on the A&E network on Friday, August 15th and Saturday, August 16th. Written by Judith McCreary and directed by Adam Davidson. Starring Thomas Gibson, Shemar Moore, Matthew Gray Gubler, Kirsten Vangsness, A.J. Cook, Lola Glaudini and Mandy Patinkin. Criminal Minds Season One, episode 12 originally aired Wednesday January 11, 2006. "When a young girl is abducted in broad daylight from a playground in a seemingly safe neighborhood, the BAU initially believes her father is responsible. When he is able to provide an alibi, the team is forced to look for clues near where the girl lives to determine who is really responsible." The poet W.H. Auden wrote, "Evil is always unspectacular and always human, and shares our bed, and eats at our table." Criminal Minds: There will be a Criminal Minds chat this evening at 10pm est to discuss "No Way Out". Lots of Criminal Minds news and spoilers yesterday. Not much longer until the season opener. Thank you to everyone that has already made a donation to Kim's Aids Marathon in honor of Ed Bernero and Andrew Wilder's birthdays. There is still time to make that donation! We are still running second behind another CBS show and we have an NBC show behind us in third place and they are catching up on us! Do we really want to be in third place behind an NBC show? No! Criminal Minds is going to be the #1 show on TV this season and Kim should represent the show as the #1 leader in donations! Three auctions closed today and several more are closing in a few days and new ones will start on Saturday. See you all in the chat room after the episode! Keith Carradine! Wow, he was great. CRIMINAL MINDS: WE'RE NOT LOSING ED BERNERO. WE'RE GAINING MORE SHOWS! Criminal Minds: I want to share an email I received this morning from Ed Bernero, Executive Producer of Criminal Minds, because the emails I'm receiving from fans of the show all show concern that Criminal Minds is losing Ed. Criminal Minds: Well now we have an answer to what is going to happen when A.J. Cook (JJ on Criminal Minds) takes her maternity leave. We have a Criminal Minds replacement on their way to pitch in. "A.J. Cook's due date draws near, and I'm hearing that her character will be "having the baby in nearly real time," meaning that A.J. and J.J. will be giving birth all but simultaneously on TV and in real life. CRIMINAL MINDS IS IN THE TOP TEN....AGAIN! Criminal Minds: Here are the Nielsen ratings for the week ending August 10th. Criminal Minds is once again in the top ten! Great job CM! 1. "Summer Olympics Open Ceremony," NBC,32.63 million viewers. 2. "Summer Olympics Sun Primetime," NBC,30.80 million viewers. 3. "Summer Olympics Sat Primetime," NBC,23.04 million viewers. 4. "America's Got Talent," NBC, 12.11 million viewers. 5. "Two and a Half Men," CBS, 9.70 million viewers. 6. "Criminal Minds," CBS, 8.86 million viewers. 7. "So You Think You Can Dance" (Thurs),Fox,8.46 million viewers. 8. "NCIS," CBS, 8.45 million viewers. 9. "So You Think You Can Dance" (Wed),Fox,7.91 million viewers. 10. "CSI: Miami," CBS, 7.76 million viewers. CRIMINAL MINDS SPOILERS FOR SEASON FOUR! Criminal Minds: We all knew this would be the month that CBS started dropping major spoilers for the fourth season of Criminal Minds and here they come. Usually I don't just post them but since the internet is now full of them, I decided what the heck! "We will learn a terrifying secret from Reid's childhood that explains why he's so attracted to serial killers. 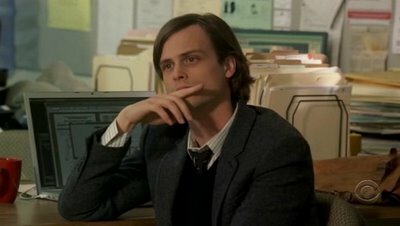 According to Matthew Gray Gubler: "I just read an episode that has an incredibly dark history for Reid. He had a terrible thing that happened in his childhood that comes out, causing delayed nightmares. It explains why he's so attracted to serial killers. The last page, I was like, it all makes sense. It's super dark...like cable-style dark. I'm sure the fans will hate it, and I'll love it." Season four of Criminal Minds premieres Sept. 24 at 9 p.m. on CBS. Criminal Minds: If anyone would like to make a donation on behalf of the ‘Criminal Minds’ National Multiple Sclerosis Society bike team, you can visit their page. You can click open the Criminal Minds actor, writer or crew member you wish to sponsor and make a donation. It's easy, for a great cause and tax deductible. Criminal Minds: Edward Allen Bernero, Executive Producer of Criminal Minds, has announced his newest project. CBS is saying aloha to a new installment of "Hawaii Five-O." The new take on the popular crime drama, which aired on CBS from 1968 to 1980, is being developed by Ed Bernero, executive producer and showrunner of "Criminal Minds." He is such a big "Hawaii Five-O" fan that he has the Ventures' iconic theme song from the show as his ringtone. 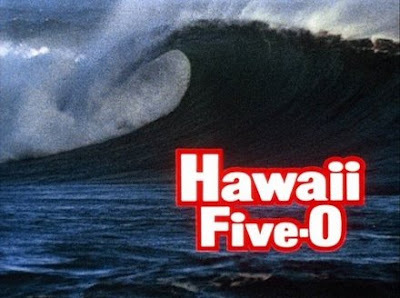 Bernero is writing the project, which he describes as "'Hawaii Five-O' 2.0." Like the original series, it chronicles the workings of the fictional Hawaiian state police department. In the original, the unit was headed by Steve McGarrett, played by Jack Lord. In the new series, McGarrett's son Chris will be the top cop. Criminal Minds "No Way Out" starring Mandy Patinkin, Shemar Moore, Thomas Gibson, Matthew Gray Gubler, A.J. Cook, Kirsten Vangsness and Paget Brewster. Guest starring Keith Carradine and Amy Madigan. Criminal Minds screencaps courtesy of Stacy. Criminal Minds Quote & Song info for "No Way Out" starring Mandy Patinkin, Thomas Gibson, Shemar Moore, Paget Brewster, A.J. Cook, Matthew Gray Gubler and Kirsten Vangsness. The ringtone on Sheriff Davis' cellphone was "Smoke on the Water" by Deep Purple. 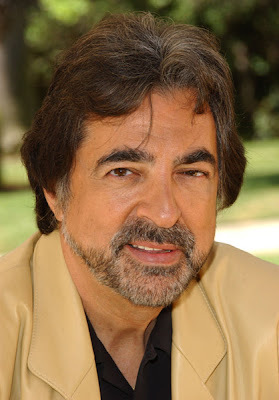 CRIMINAL MINDS SPOILER THREAD FOR "NO WAY OUT"
CRIMINAL MINDS STAR JOE MANTEGNA MOVES UP A SPOT! 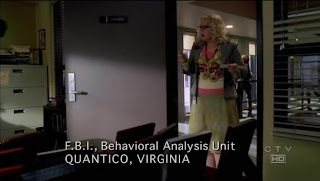 CRIMINAL MINDS SCREENCAPS FOR "A HIGHER POWER"
CRIMINAL MINDS: SHEMAR MOORE IN "MOTIVES"
CRIMINAL MINDS: "U.S. SHOW TO LAND IN SINGAPORE"
CRIMINAL MINDS: JOE MANTEGNA IN "CHILDLESS"
CRIMINAL MINDS: NEXT ON A&E IS "THE POPULAR KIDS"
CRIMINAL MINDS: "DAMAGED" SHOWS THAT CRIME PAYS! CRIMINAL MINDS: A NOTE FROM PAGET BREWSTER.